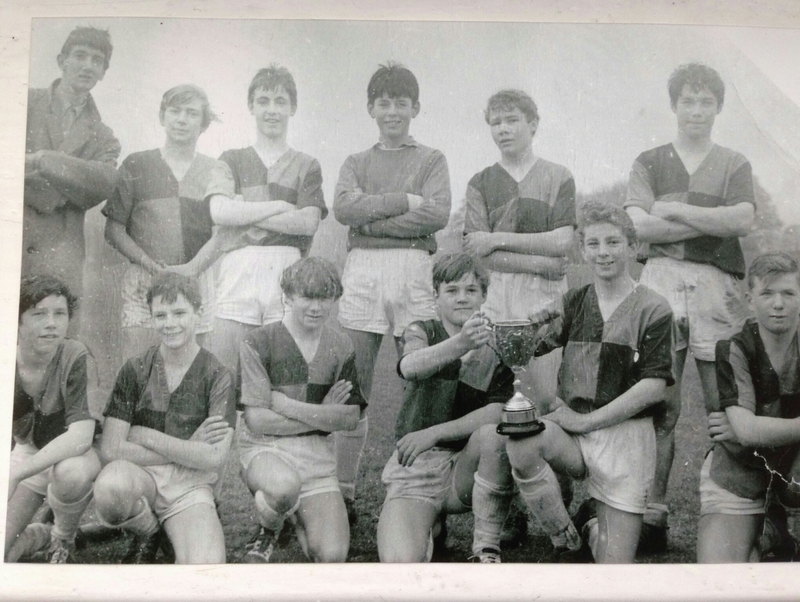 Patcham Fawcett School team winning the Balfour Cup in 1966 beating Whitehawk in the final 2-0 on a wet Saturday. Only Mr Ingham came to support us. Back row: Nick Sheildcamp (Sports Master), Steve Over, Dave Maxey, Gary Croydon, Andy Peters and Glyn Vaughan. Do you recognise yourself or anyone else here – and remember this game? Please post a comment below. Yeah, I remember the game well, Gary. After losing to Whitehawk in the league we were determined to beat them in the final, which was played at Stanmer school. We won 2-0 with goals from Glynn Vaughan and Dave Maxey. That is Teddy Foster and not Mark Frost in the photo. Hi Gary. Didn’t know Dave that well as I was a First Year. That was under the 14’s final at Falmer. Tatty over marked their danger man Trevor Davies. We had the under 12’s final against Stanmer at the same place, we won 3.2. Our game finished half an hour before the end of yours and we all came over and watched your final second half. Cliff Woley scored a hat trick for us. I think his brother Brian played for you? Baker cup was under 11’s junior school and we won it with the downs. The big cup was the Barlow cup. You had a great side. I saw Ian Knowles, Dave Maxey and Andy Peters have their Brighton boy’s trial at Dyke Rd Park. Happy days. If Ian Knowles checks in - his neighbour was Malcom Brown our Captain, haven’t seen him since I left school. That’s my brother, Andy Peters. I used to go and watch him, particularly when he went on to play Saturday/Sunday Football league games. He hasn’t changed a bit from the photo! Nick Schildkamp was the games master at Westlain, starting in the early 70s. By that stage I was in the 6th form so I didn’t have many dealings with him: his nickname was Ratty. Mr Grandfather after his retirement as a carpenter worked at PF as a workshop technician. I don’t think he ever spoke about it to me.